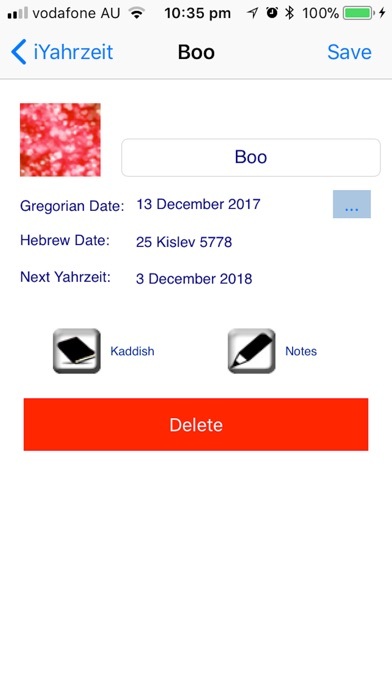 Download iYahrzeit free via AppsHawk. * Store and Receive Notifications of Your Important Yahrzeits! 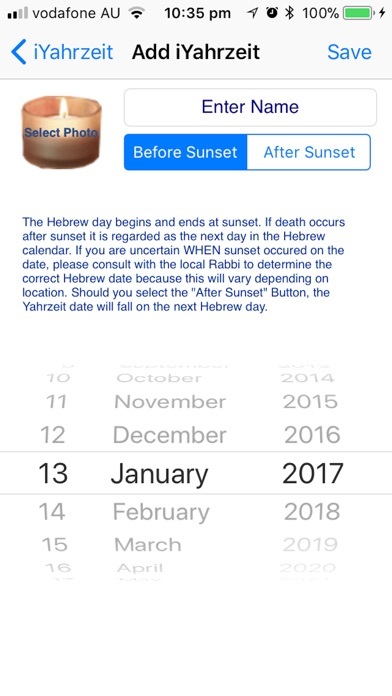 * Calculate Yahrzeit dates using the Gregorian Calendar! 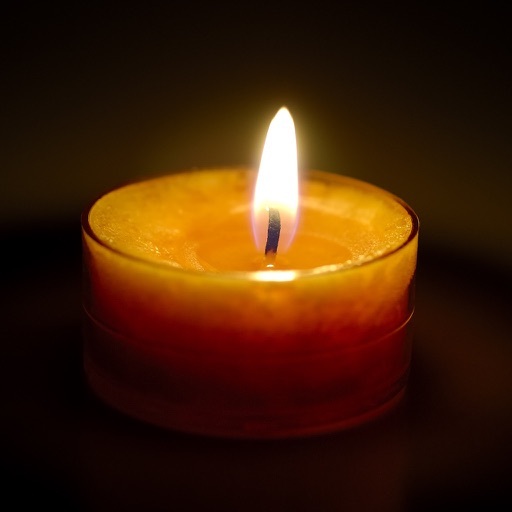 With Yahrzeit dates changing every year it is difficult to know or remember the correct date. 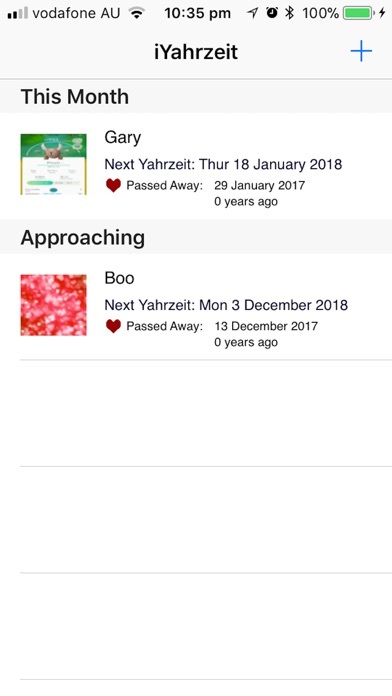 Use this app to work out and remind you of all your (and others) Yahrzeits!